Fishing is one of the most popular pastimes – and participation sports – in the world, and with good reason. It’s a very therapeutic sport, takes you back to basics with nature, and requires a number of skills that you will learn along the way. 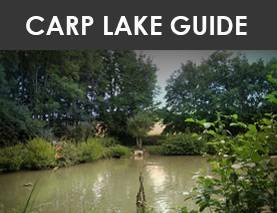 Carp fishing is among the most popular types of fishing and is very rewarding. 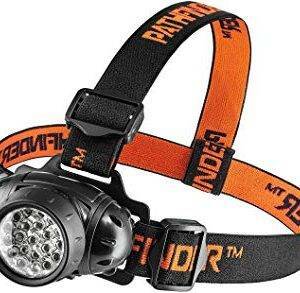 As with all sports and pastimes, it’s vital you have the right equipment. For beginners, this is even more important. 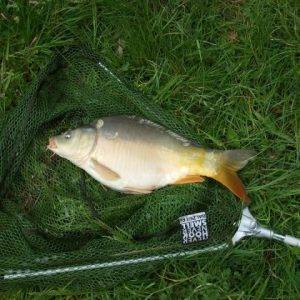 To begin fishing with the wrong equipment will not instil confidence in the angler. It may even put them off pursuing what is a very exciting and interesting hobby. This is why we are going to talk about fishing whips, and why they are great for beginners. A fishing whip is designed for ease of use and for shorter casting distances, as opposed to a pole that can be much longer, and requires greater expertise. If you want more information on the difference, you should check out our article on Fishing Whips vs. Fishing Poles. Let’s check out some of the best fishing whip starter kits available, so we can help you get started. As we are talking starter kits, we’ll begin with this one, which offers everything you need to get out there and go fishing with a whip. You get a decent whip that extends to 3m; most fishing whips tend to be telescopic, and this one is. This means they are easy to carry around as they don’t have to be full length all the time. It’s made from fibreglass for both strength and flexibility and weighs just 155g. You also get, with this pack, the full pole set up including elastic; that means the only thing you need to add to fish is bait! 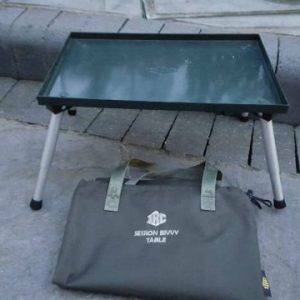 It’s designed for use in canals and ponds and is easy to use. This is a great set for getting the kids interested, is excellent for learning on and – while clearly not of the greatest quality – that is reflected in the price which will make a barely noticeable splash in your wallet! This ready to go outfit is a good choice, as it comes with a very nice whip that is a cut above the one we’ve already reviewed. There’s nothing wrong with the first one, but it’s clear that this one will not need upgrading as quickly, once the novice gains a little experience. 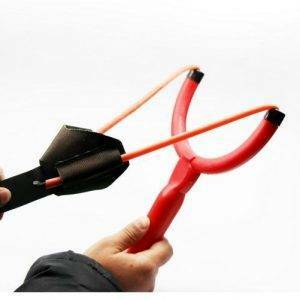 It’s a 5.5metre whip that extends and retracts, and it reaches 5.5m by way of a handy 0.5-metre extension, so you can use it at 5metres too. You get all the rig – and a disgorger – with the set, and it is ready to use and fitted with elastic with a 24-rating, which is perfect for beginners. As this one breaks down into sections, each of the top sections is elasticated. With its greater than usual length, this one is perfect not only for beginners but also for experienced users who may want a little more reach and is not at all expensive. With this one, from the respected NGT brand who is a market-leader in fishing gear and accessories, we get even longer. 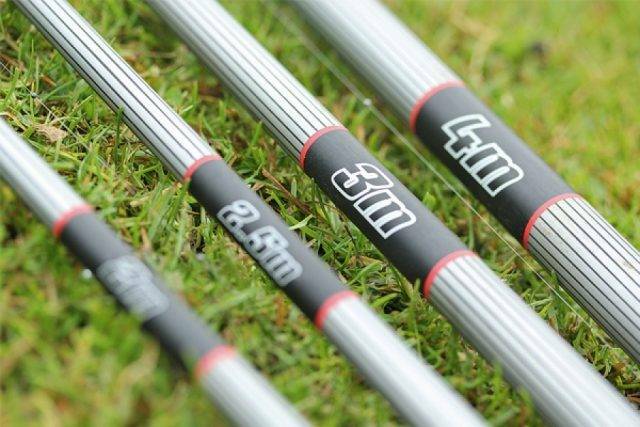 This whip has a maximum length of 7-metres; that’s enough for fishing larger rivers and lakes, and is great for carp sport fishing. It’s made from quality material and offers the sort of flexibility you want from one of these. At that length, it may be a little much for beginners, but on the other hand, it will not need replacing as quickly as a shorter model. 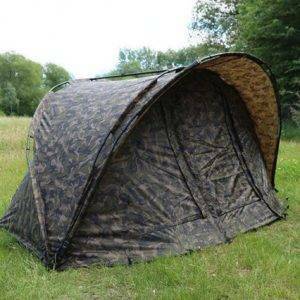 It is fully telescopic so slips down to a handy and usable length that is easy to carry about, and it comes with two pole rigs so you are ready to go. 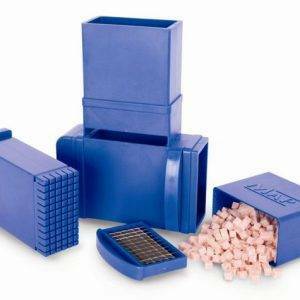 It’s a great coarse fishing set up that needs little extra, although it does not come readily elasticated. Nevertheless, given the brand and the size, and the sensible price, this is certainly one that you should consider, novice or otherwise. 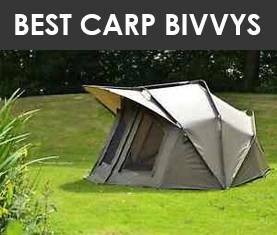 The Matt Hayes name adds a touch of class to this one, and it is a very nice set for the beginner or for experienced fisherman. The pole and kit are by Fladen, a top brand that uses the Matt Hayes branding to great effect, so you know you are getting a quality item. This one is 5-metres when ready for use – it is telescopic and slides down to little more than a metre for ease of transport. It’s light and easy to handle, and would make a great beginner whip. 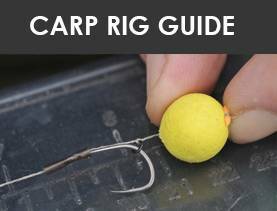 This is a genuine buy it and go set; it comes readily elasticated, you get spare rigs, you also get floats and a disgorger, so you are ready to start fishing. 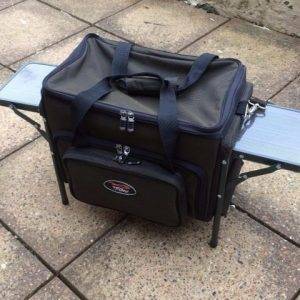 It’s well made and nicely finished, and if you are experienced, would also make a handy addition to your kit – you never know when it might come in handy! All in all, it’s a very god starter kit, and at the price you can’t lose. 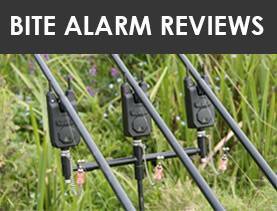 Key Features – 5 metre whip pole, telescopic, great brand, everything but the bait! The basic premise of a fishing whip is that it is light, easy to use and affordable. All of those listed here offer those benefits, some more so than others. This one is a very cheap fishing whip that comes in a great package. In fact, the price will hardly dent your pocket. We wonder how they manage to sell it at this price! You get a 5-metre whip – that’s pretty much the norm for one of these if you want to take it seriously – that slides down to little more than a metre for ease of transport. It’s very light, at around 340g, and comes with a pre-elasticated tip for ready use, plus you get a full complete rig so all you need to do is add the bait and away you go. We’ve pretty much said it all where whips are concerned – they all do the same job in the same way, after all – but we will say this is a good choice, at a great price. 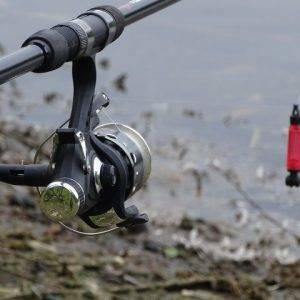 Our final choice is a perfect one for beginners, and again comes from Fladen, a brand with expert knowledge of fishing equipment and accessories. This is a basic yet very effective whip, which is available in either 3-metre or 4-metre lengths, is made from quality material and offers all the flexibility and ease of use you would expect from one of these. It comes as a complete set, so you are ready to go. You can buy this one in a range of colours, and it comes with rig, floats and weights too. 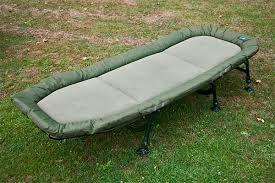 It’s very simple to unpack and use and is an excellent choice for carp, rudd, bream and so on. This could be the perfect introduction to fishing for a child, and will certainly get them hooked – excuse the pun! If you’re looking to buy a whip with all the trimmings for a youngster to get into the game, this could be the one at a surprisingly affordable price. 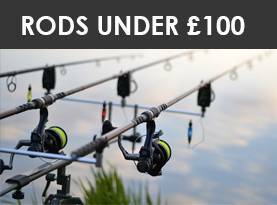 That’s our list of the best fishing whips available today, each of which is great for beginners, but which one is for you? Before we try and give you a verdict, here’s some of the features to consider. Length – the whips above vary in length from 3-metres to more than 5-metres. The shorter ones will be best for children, but a longer one means you will not have to replace it with another so quickly. Telescopic – a telescopic whip is a major bonus as you can easily slip it down to a usable size, but a couple of the above break down into parts, so make sure you get what you want. Ready to Go – most of the above come readily elasticated, with all the rig and trimmings, and are ready for fishing. That’s what you want! That’s our very brief list of things to look for, so which is for you? Let’s find out! The first thing we will say is that cost is not an influencing factor here; none of these is expensive, and some are extremely cheap. If you want a true basic starter kit, the first and last on the list should be under consideration as you get everything you need bar the bait, and they are very cheap so you lose nothing if the child does not take to it. If you want something that will last a little longer, the NGT 7-metre will do the trick, and at the price, we can’t see anything coming close in terms of value for money. So, there it is; make your choice, and happy fishing!